Yo yo! March Unblogged Files time! This year's just been zooming by. We're already a quarter of the way through the year! Let's take a look. I started March with a little weekend trip to Castlemaine. It was really warm and sunny and there were lots of delicious eats! 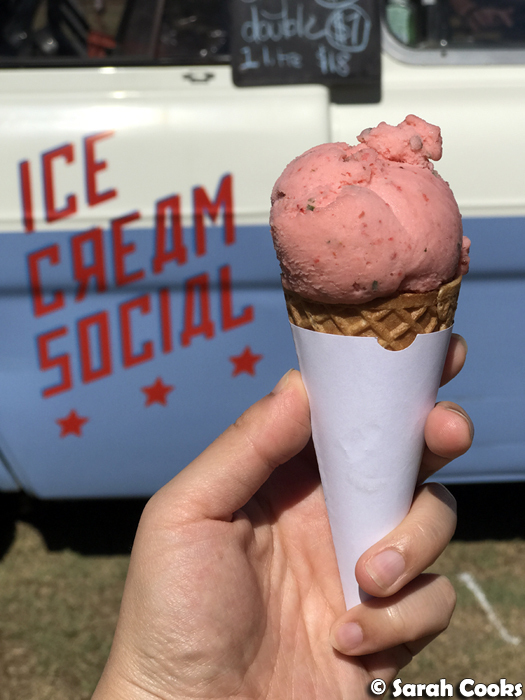 One of the highlights was this fab strawberry and basil ice-cream from Ice-Cream Social. (Blogposts to come). 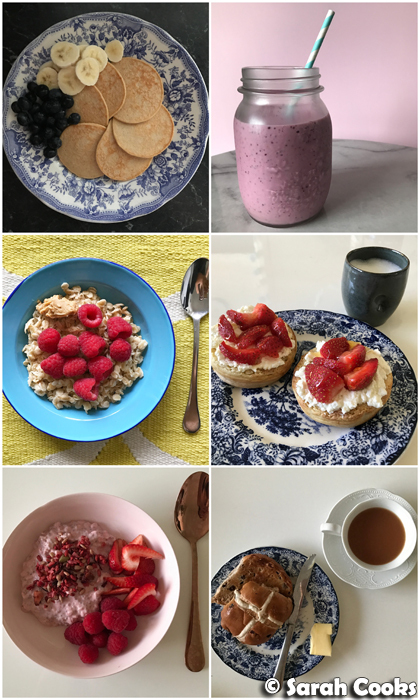 Ok, here are some breakfasts! And the açaí bowls made a huge comeback! 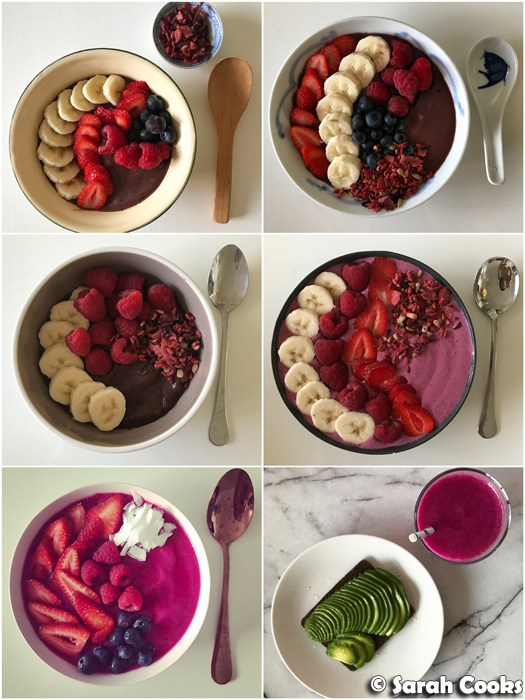 I also did a pink smoothie bowl, and did a couple of pitaya bowls / smoothies. I love the lurid magenta colour! Here are some weekday lunches! I was super excited to see Neil Perry's Burger Project had opened up on my side of the city, and it was really good! My chilli cheeseburger was very tasty - slightly dry (could have used more sauce), but high quality ingredients and the bun had a good structural integrity. Would eat again. Here are some homecooked dinners. 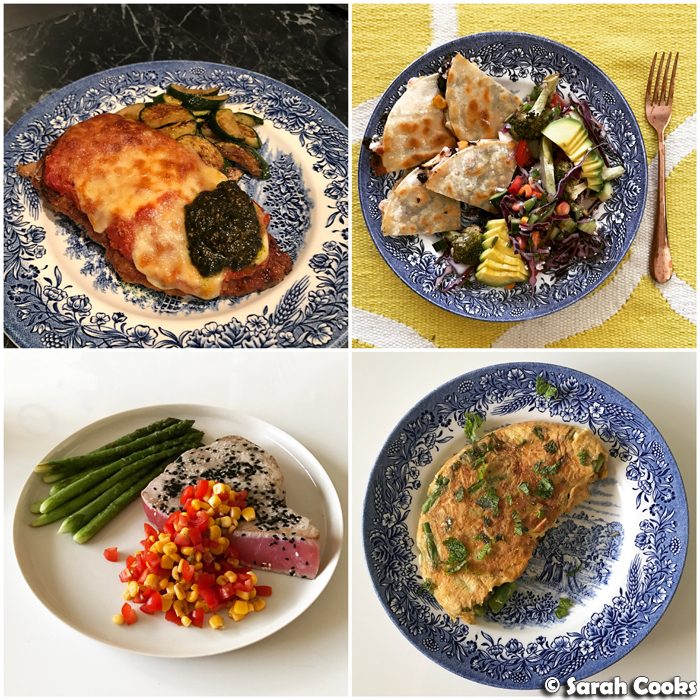 I didn't do a lot of homecooking this month - often having a meal prep meal for dinner during the week, or something very simple (ahem - toast) before rushing off to the gym. But when I did cook, I tried to make it nice! One night I had my folks over for dinner, and I made Nigella's simple seafood supper (from Kitchen). It was so easy, and sooooo good! 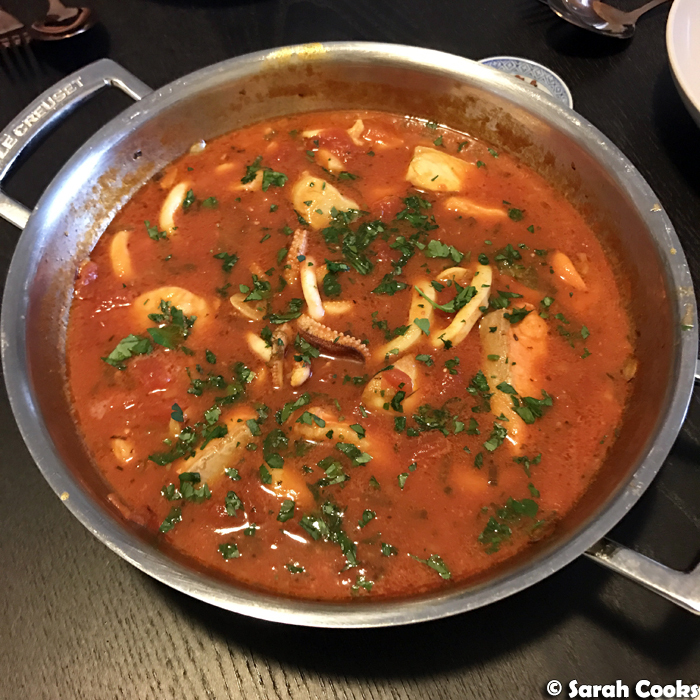 It's just mixed seafood cooked in a tomato-wine based sauce. We had it with a crisp green salad and bake-at-home bread rolls for a treat of a Monday-night dinner. One Friday night, we had our buddy Suryadi over for a games night. 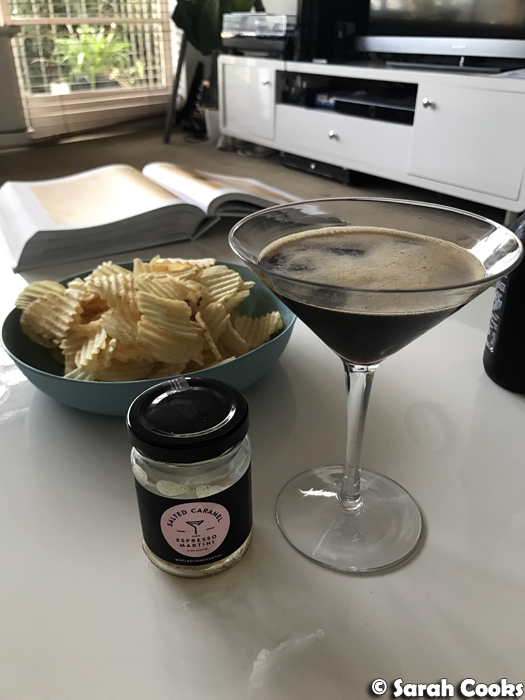 Espresso martini and chips, TGIF! 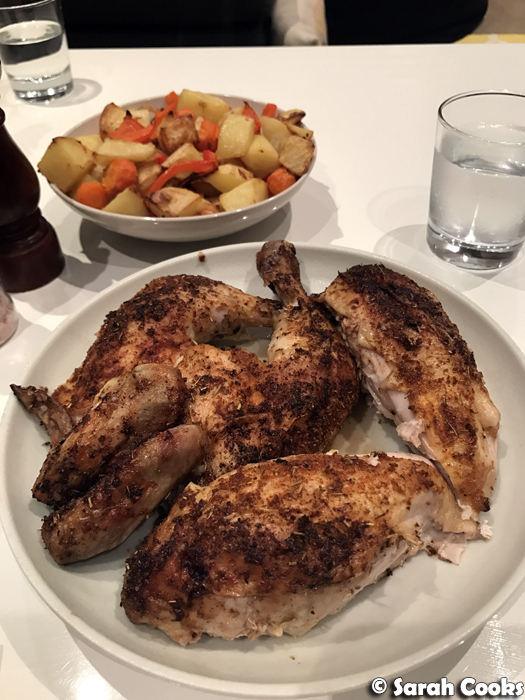 I made dinner too - a German-style roast chicken (aka Brathaändel), which I roasted in Gewurzhaus' fab Bavarian Roast Chicken Spice, and some roast potatoes and red capsicum. 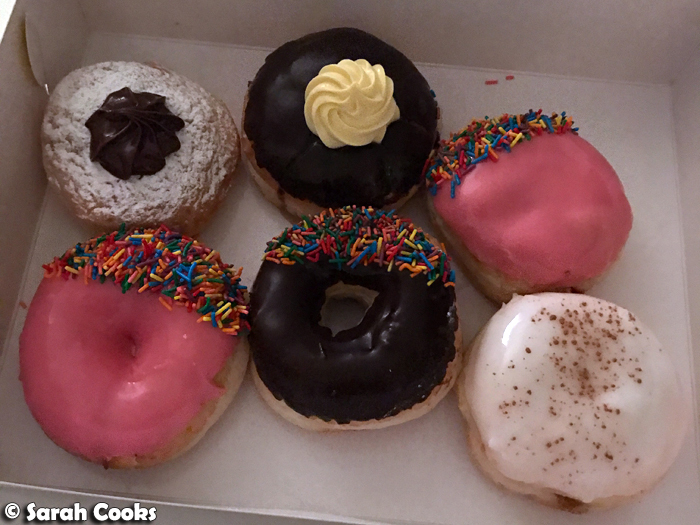 Suryadi's wife Jean also brought over some Walker's Doughnuts to share. My favourites were the Nutella donut, and the custard-filled, chocolate topped one! It was my parents' 40th wedding anniversary in March. Congratulations Mum and Dad! 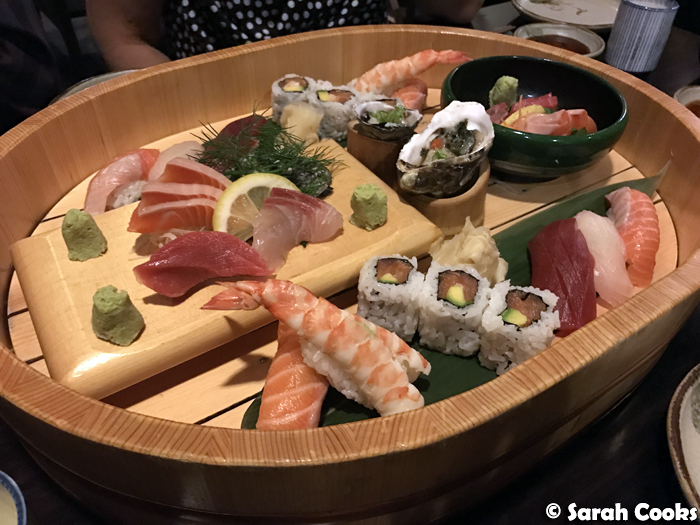 We took them to Kenzan (45 Collins Street, Melbourne VIC 3000), for a celebration dinner. I love their sushi and sashimi platter. Best! I did a couple of events in March. First up was the launch of Calia, a new high-end restaurant-to-retail venue on level 3 of Emporium, serving high quality Japanese fusion cuisine. (Everything in the shop is so covetable!) 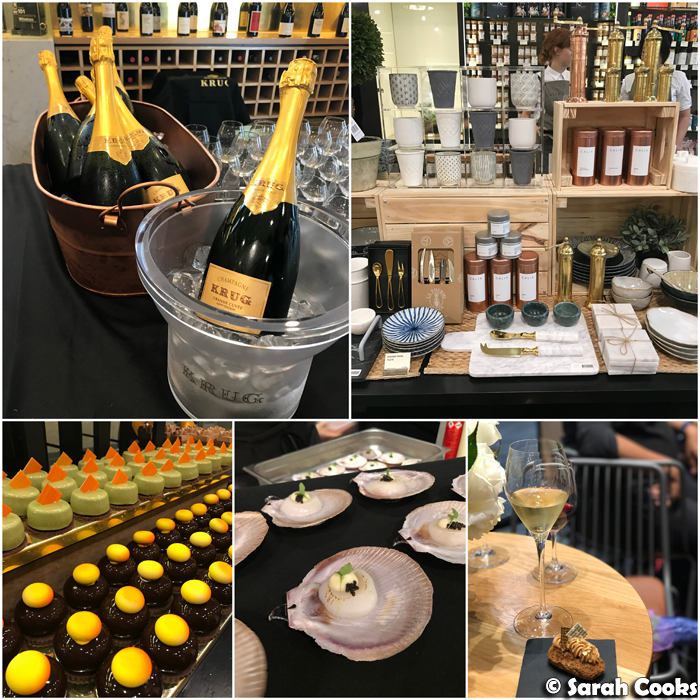 The Krug was flowing and there were many delicious morsels, including desserts from Bibelot. I enjoyed it so much that I decided to pop in for lunch a couple of weeks later. 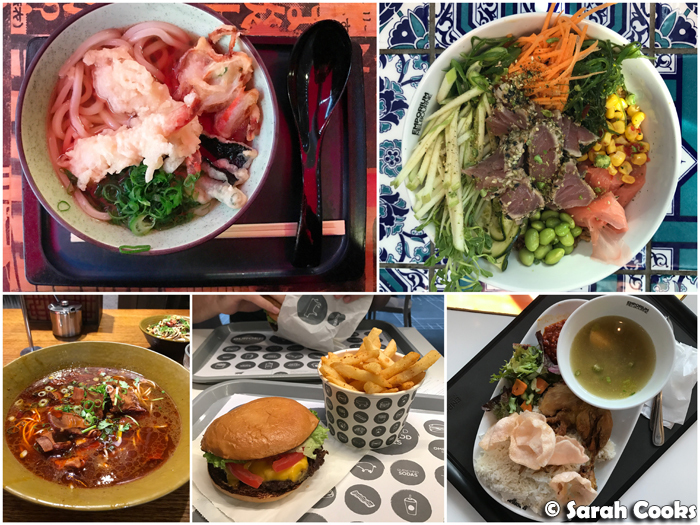 My buddy Jimbo had the marbled sukiyaki bowl with a 63° egg ($16.50), and I had the crispy roast pork bowl ($16.90), and we shared some truffled fries tossed in egg yolk ($8.90), because #treatyoself. It was all really delicious - such great flavours, and you could really tell that the ingredients were good quality. 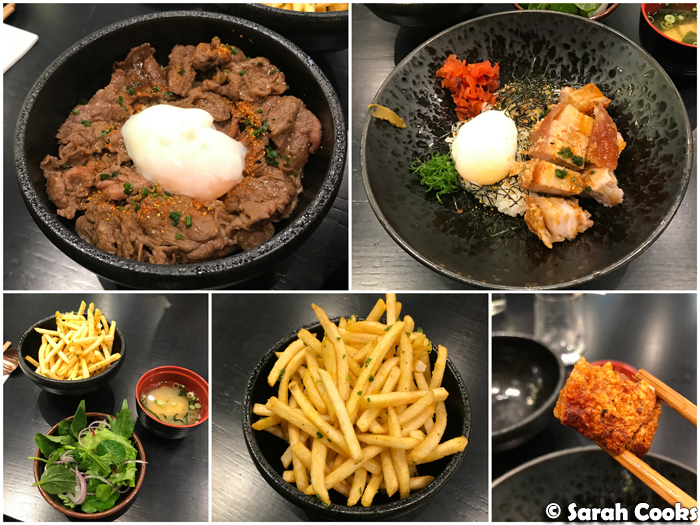 Another great event was the preview dinner at Souk (13 Bligh Place, Melbourne VIC 3000), a new modern Middle Eastern restaurant in the space where The Deanery used to be. It's a really cool venue, and I enjoyed the food. 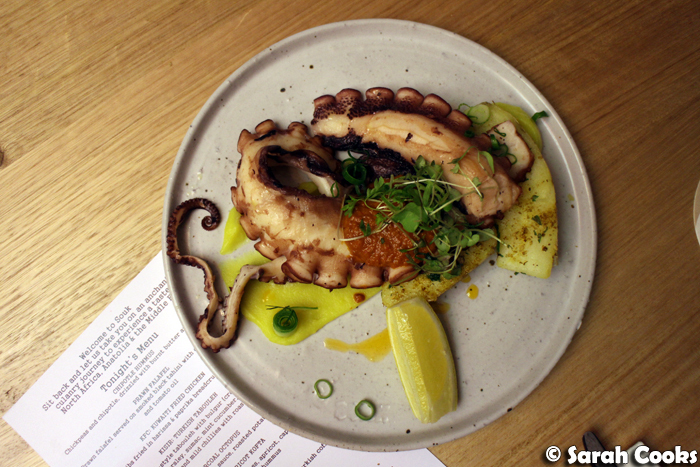 The charcoal octopus was the standout - all fresh and tender and scrumptious! One Sunday morning Sandra and I were in Camberwell for some errands, so we decided to have brunch at Prospect Espresso (2a Prospect Hill Road, Camberwell, VIC 3124). 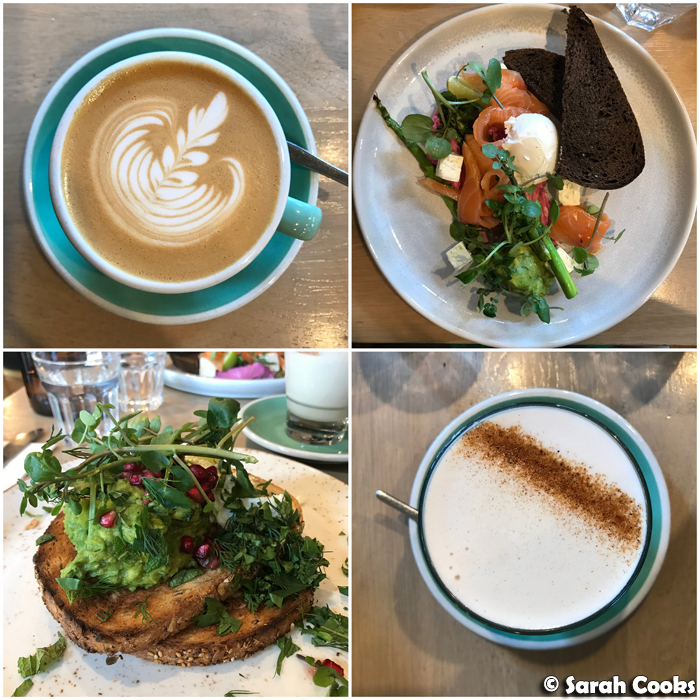 Coffees were great, and I really liked the dill and citrus-cured ocean trout with grilled asparagus, smashed avo, poached egg, pomegranate, feta, beetroot goats curd and toasted rye bread. 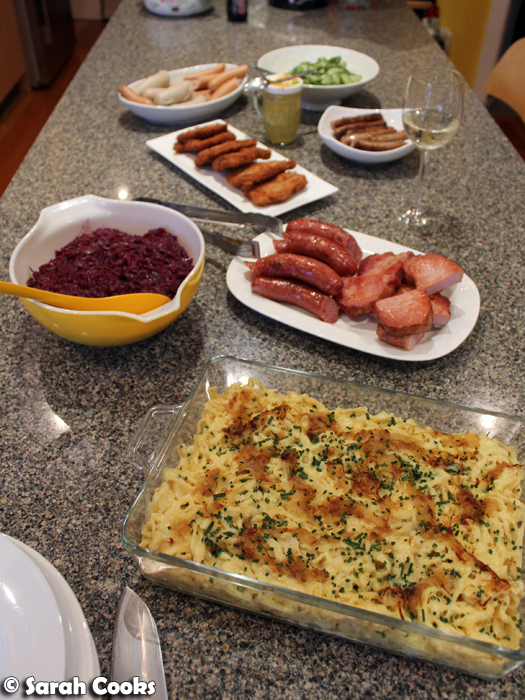 Last weekend, we cooked up a big German feast to say thank-you to some friends who helped us lift our new fridge up the stairs back in January. There was a huge batch of Käsespätzle (cheese and pasta), red cabbage, pork schnitzels, cucumber salad, kassler (AKA bacon steak), cheese kranskys, frankfurters, Weißwurst and bratwurst sausages. Total sausage fest! Imma blog the Käsespätzle recipe soon, and will show you more pics from the dinner! And finally, last night Sandra and I did a special night out at Spice Temple (8 Whiteman St, Southbank VIC 3006). As you know, it's one of my favourite restaurants, and it's still just as good as ever! 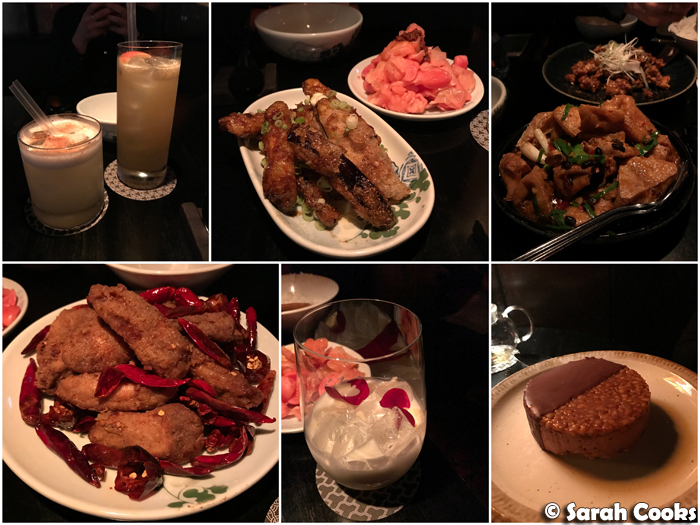 Special shout out for the fish-fragrant eggplant, the radish and cabbage pickle, and the spicy chicken wings. Plans for April: a couple of weekends away with friends, Easter, and my BIRTHDAY! Hooray! I love saucy burgers but haven't yet tried a Burger Project one! How remiss of me!